We're back and we're better than ever. Watch this space. 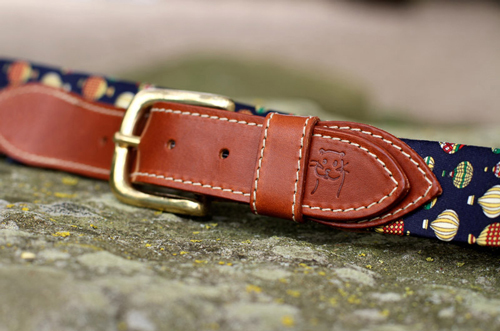 We love Otto Originals belts so much that we're offering a discount to all our loyal readers! Use the code: jetset, to get 10% off your order! Our second suggestion is Hony Tonk, in Chelsea. For those of you that are bored of the mushy, lovey-dovey Valentine’s routine, this New-York inspired restaurant is bringing something much edgier to the equation. Paris may be the ‘City of Love’ … but this February, London is for lovers. In the build-up to Valentine’s Day, we’ll suggest some creative ideas for what you can do on 14th February. Interview with Diego Bivero-Volpe Upper West: Cursed? Josh Zietcer interviews Diego Bivero-Volpe, a partner at Bodo's Schloss and The Brompton, cast member of Made in Chelsea and Jet Set Gazette ambassador, on business, being on TV and life in London. name, founders Jerry Goldberg and Fraser Duncan have meticulously researched cooking methods and sourced a rotisserie that is one of its kind in the country. Between 1920 and 1933, there was a national ban in the United States on the sale, manufacture, and transportation of alcohol. The jet-setting party-goers of the 1920s were facing a crisis; how could they engage in frivolous debauchery? Every time it snows in London, a great debate arises; do we like the snow, or not? Whilst the more sensible, logical Londoners would argue that the snow simply messes things up, the more carefree and young at heart amongst us will be building snowmen, Instagramming the Narnia-esque landscapes and searching for the perfect spot to enjoy a hot chocolate in the snow. It’s that time of year again when that awful cliché ‘New Year, New You’ stares at you like the eyes of divinity from all surfaces of advertising. Part of this always involves some form of fitness overdrive, Special K discounts and ‘3 for 2’s on Marks and Spencer ‘Count on Us’ ready meals if you’re willing to overlook the irony of eating microwaved food for health purposes.